EMSHIP is an advanced Master’s program leading to a combined degree in Oﬀshore Structures and Marine Engineering & Ship Design. It involves universities from Belgium, France, Germany, Italy, Poland and Romania. Each year, as part of being an EMSHIP Strategic Advisory Board member, ICE proposes, in collaboration with the Galati University’s Naval Faculty, a Master Thesis topic. The student who chooses this Master Thesis gets the opportunity to do an internship in ICE, during which time he or she receives support with the ﬁnal paper while experiencing working in a progressive design company. ICE’s 2016 Master Thesis “Initial Design of a Ship shaped Self-Propelled Drill Ship” was undertaken by Güner Dönmez, a graduate of Piri Reis University, Engineering Faculty in Turkey. The thesis focussed on dynamical positioning and intact stability. Mr. Dönmez – during the seven months spent in ICE – showed great ambition and determination in tackling the challenging topic. His enthusiastic and inquisitive nature helped him to successfully ﬁnish his tasks within the allotted time. 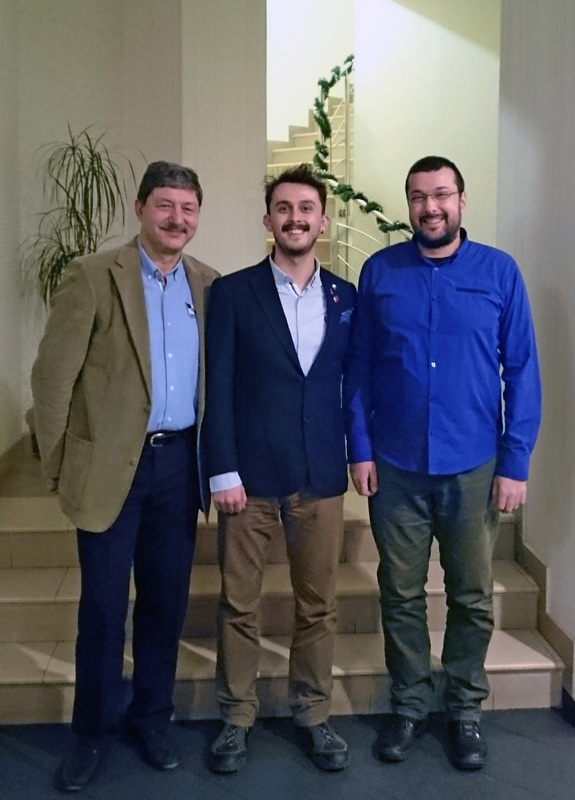 Pictured here is Mr Dönmez ﬂanked by Cristinel Chiriac (left), the newly appointed head of Concepts Development Department and Dragos Totolici, Principal Engineer of ICEPRONAV Engineering.